Is your food clean? Is your home green? As when I've heard Dr. Crinnion speak in the past (he was my professor at Bastyr 14 years ago! ), I was incredibly inspired to consider environmental toxicity as a cause of health issues, including fatigue, brain fog, feeling off-balance, asthma and/or allergies, depression, headaches and/or chronic pain. In fact, Dr. Crinnion says that symptoms often attributed to aging, are actually due to years of exposure to toxins. Dr. Crinnion recently wrote the book Clean, Green and Lean which brings to light the fact that extra pounds can be lost simply by cleaning up your diet and home environment. What an eye-opening to what we are exposed to in our food, air, body products and water! I highly recommend the book, for everyone! Do you have an air purifier? What percentage of your diet is organic? How much is your food exposed to plastic? Yes! These things absolutely make a difference! Farm raised fish are contaminated with chlorinated pesticides (PCBs)? Candles are one of the major sources of toxins in your home? Pesticides and insecticides are toxic to humans? Heated plastic containers transfer plastic into your food? Read more, including specifics to clean up your home and diet, (especially if you are not quite convinced) in the book! 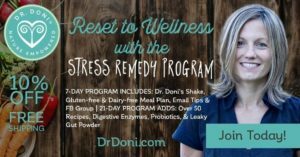 Dr. Crinnion will take you on a "toxin tour" of your home, help you to set up a plan to change things around, and provides a bunch of gluten-free recipes and a menu plan. I am here to help you too! There are tests that can help us to determine exactly how much metals, solvents and PCBs are in your body. And there are carefully determined protocols for removing them from your body, and for supporting your body to process them as you lose weight. It is not something to take lightly, and with training from Dr. Crinnion, I can help you. Please let me know if you feel that toxins may be having an impact on your health. Thanks for a great article! It made me realize that no matter how well I nurture my body with healthy foods and nutritional supplements, it also matters what the environment is like in our homes and offices.